-- Problem Solving Children's Picture Book for children ages 3-9. Molly is a clever pig. She can dance an Irish jig, balance a tin plate on her head, and catch a ball in midair. 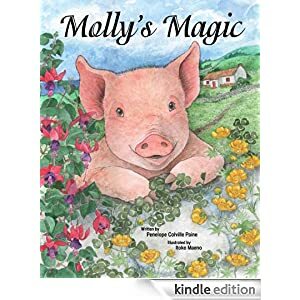 But can Molly help rescue the O'Malley farm from its financial woes? That, thinks young Miles O'Malley, would take the talents of a magician. Molly is no magician, but her great ideas for solving problems work like magic! This is the story of how Molly conjures carloads of tourists and sends them flocking to the rescue of the O'Malley family and their Seaside Tea Garden. Plato is a goat of extraordinary speed. He may, in fact, be the fastest goat in all the Peloponnese. Or so he has recently come to believe. It all started with a playful jest, followed by an ill-considered word of flattery. Then came two lies-one sparked by jealousy, another by greed. 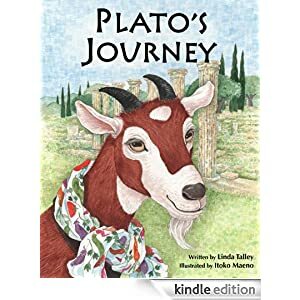 Together these four falsehoods send Plato on a journey he will never forget-a journey to the great goat race at Olympia. By the time Plato returns home, he has learned the importance of honesty and has resolved never to tell anyone a lie.